Can I add a window valance to shutters or blinds? We often get this question, and the answer is definitely yes! Especially since shutters and valances serve a different function. When adding a valance over privacy shutters or blinds, you’ll need to keep two things in mind. 1) The valance will need to be on a 1 x 4 board, instead of a 1 x 2, or whatever depth is needed for your wood blinds or wooden shutters. 2) If you open and close them often, blinds or roman shades may be a better option than shutters which open inward. A window valance adds so much to a room. They make your ceilings feel taller and your windows feel larger. 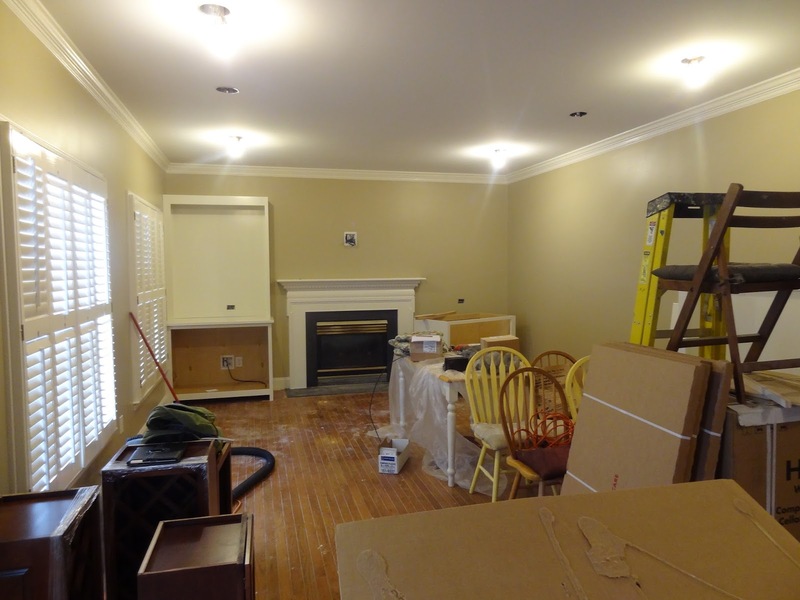 Notice in the far bottom photo – how short the windows looked before adding a valance! 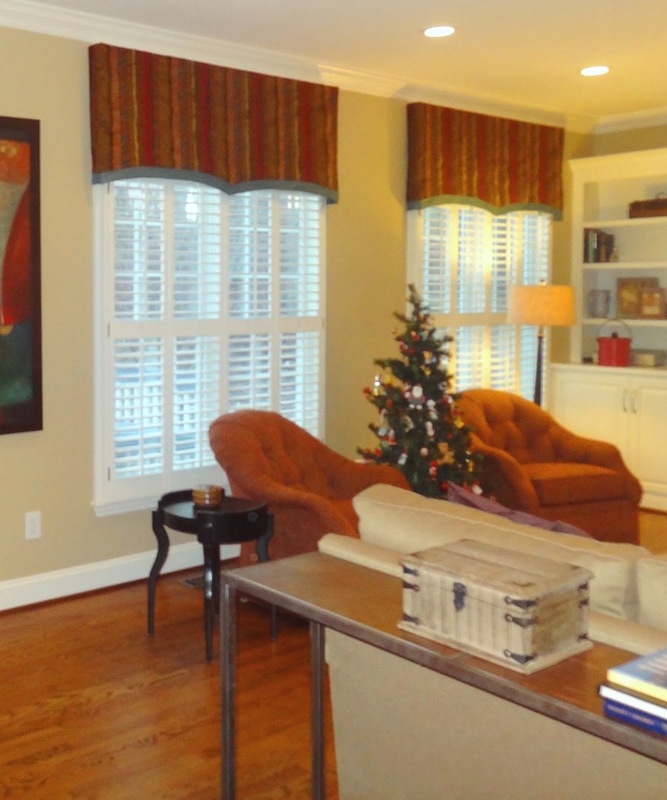 In this Greensboro home, we added valances to make the windows feel taller. We kept the shutters for privacy. A valance over the french door? Notice it’s not necessary for the french door to have the same valance or shade as the windows. 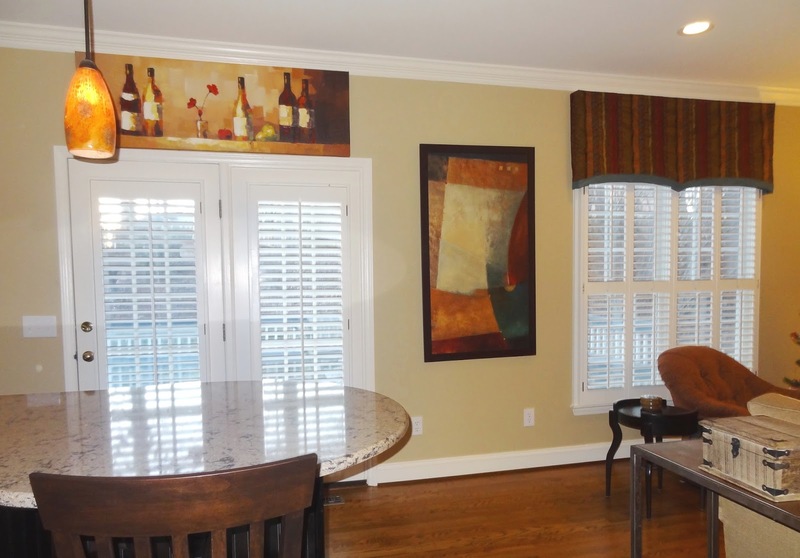 In this home, we added art instead of a valance.